Some of the music industry’s biggest stars and friends of Montgomery Gentry’s Troy Gentry gathered Wednesday night, January 9, 2019, at the Grand Ole Opry House for the inaugural Troy Gentry Foundation concert, “C’Ya On The Flipside.” Established by Troy Gentry’s wife, Angie Gentry, the star-studded sold-out event raised over $300,000 to benefit The Opry Trust Fund, T.J. Martell, Make-A-Wish, The Journey Home Project and music education in Kentucky schools. 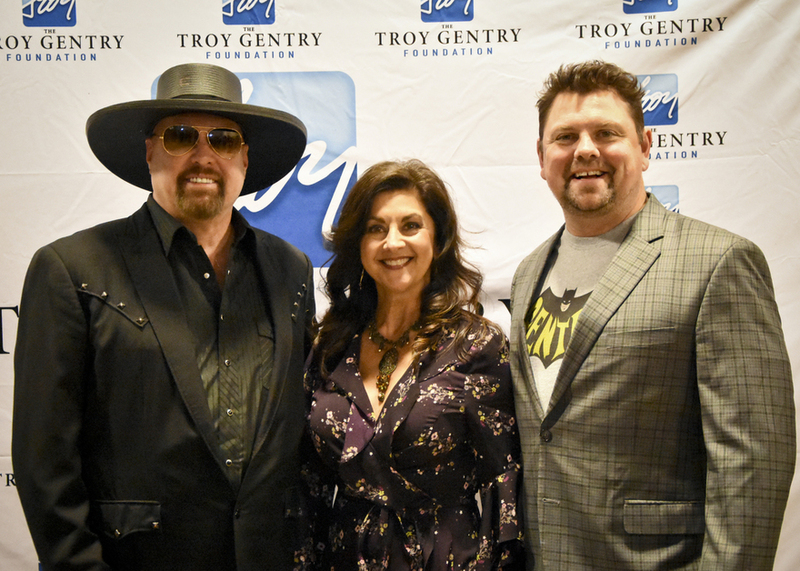 Hosted by country super star, Blake Shelton, and Storme Warren of SiriusXM’s The Highway, ‘C’Ya On The Flipside,” was presented by Grogan Jewelers by Lon. Supporting sponsors of the event included Centurion Boats, Hemphill Brothers Coach Leasing, Carolina Watersports, Average Joes Entertainment, Jim Beam, Rafa Calderon, The Journey Home Project, Charlie Daniels, X-Cladd & Entekk Group Ltd.
Country Music News Blog participates in advertising programs that help fund the operation of this site. For more information please visit our privacy statement. This entry was posted in Charity, Press Releases, Troy Gentry by Shauna "WhiskeyChick" Castorena. Bookmark the permalink.